Low-carb diets, at least if the carbs are low enough, cause ketosis - elevated ketones in the blood. Long fasts cause ketosis. Insufficient insulin, commonly seen in type 1 diabetes, causes ketosis. Anything that depletes glycogen stores over an extended period of time causes ketosis. Changed water distribution in the brain, "indicating brain cell swelling." Reduced levels of cerebral ATP, a high-energy compound used to propel metabolic reactions. Ketones are acidic and would cause our blood to become too acidic were it not for buffering mechanisms. If ketones get high enough they can overwhelm these mechanisms and lead to coma. Type 1 diabetics know this as DKA - diabetic ketoacidosis. DKA can also occur in type 2 diabetes, especially if it's not well managed. Atkins said the ketosis associated with his low-carb diet was "benign." 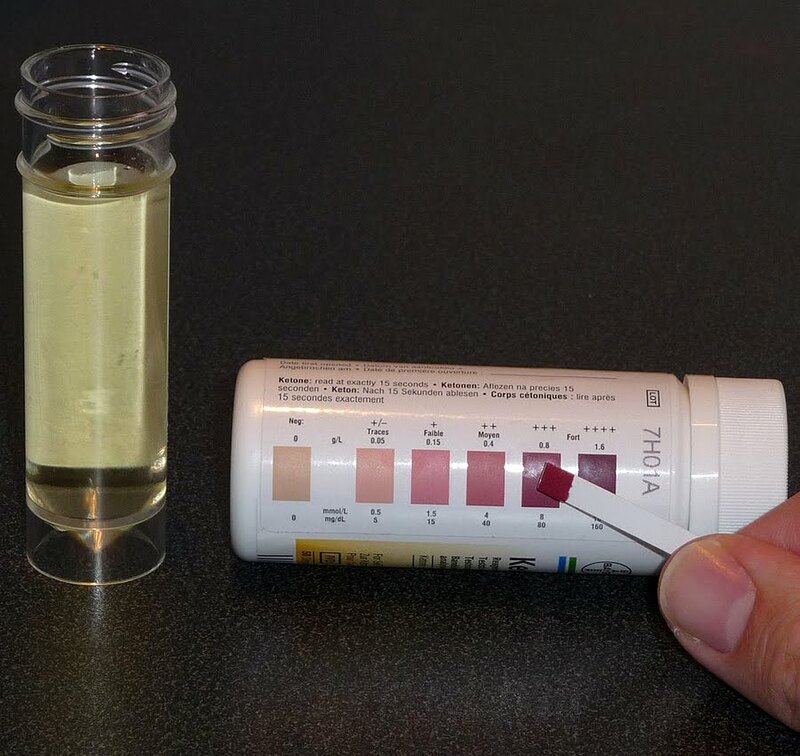 ________Photo of Bayer's Ketostix, used to test urine for ketones, from Wikipedia.